On Friday, September 4th, the Ramonat Scholars took a field trip down to the Special Collections Research Center Gallery at the University of Chicago’s Library to see the temporary exhibition, Mapping the Young Metropolis: The Chicago School of Sociology, 1915-1940. The pathbreaking work of the University’s Sociology faculty and their graduate students opened new fields of inquiry and new methods for studying the city. 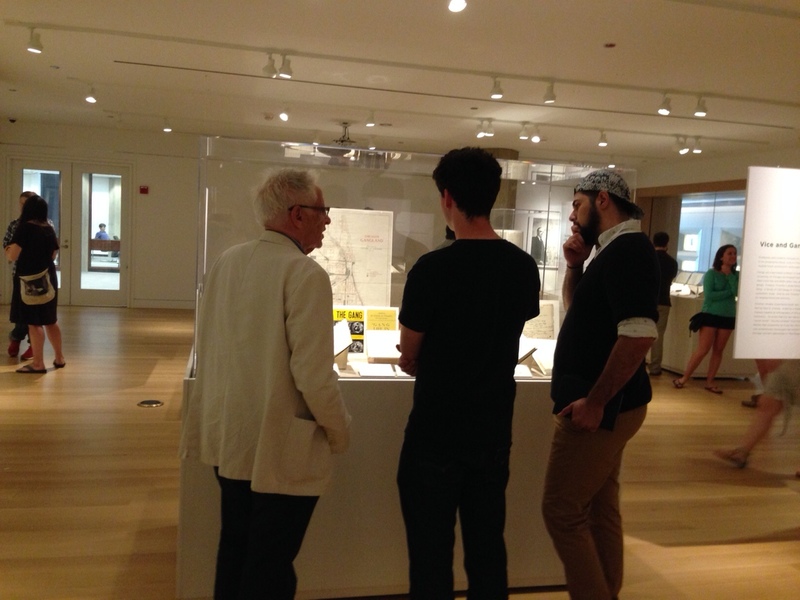 Curator Harvey Choldin talking with Ramonat Scholars Andrew Kelly and Hector Bahena. and examples of the life histories that Chicago school faculty and their students collected from early twentieth-century Chicagoans whose stories might not otherwise be recorded. 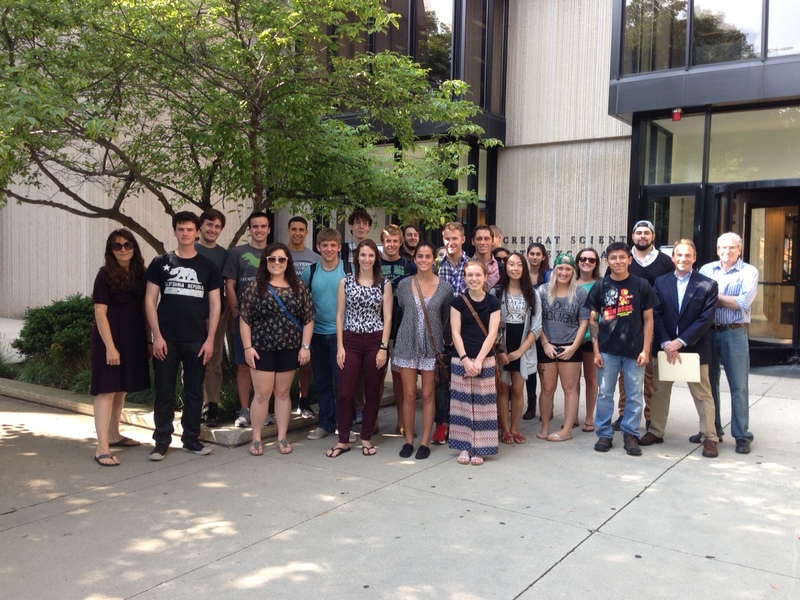 The Ramonat Scholars were joined by students in Professor Gorn and Shermer’s classes, who are also studying Chicago this semester. The exhibition is only open through September 11th, but there is also an online exhibition that includes some of the material from the exhibition.